Growing Up with the Peanuts Gang! There is a new Peanuts Movie coming out on November 6th and we are so excited to see it as a family. 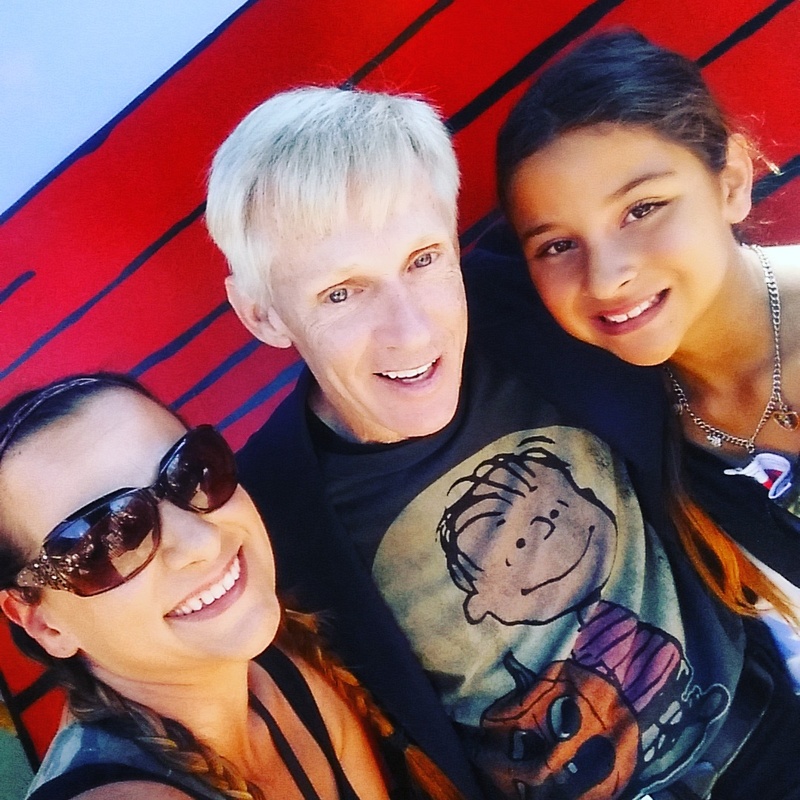 For generations the Peanuts gang has brought my family together via comics to TV. 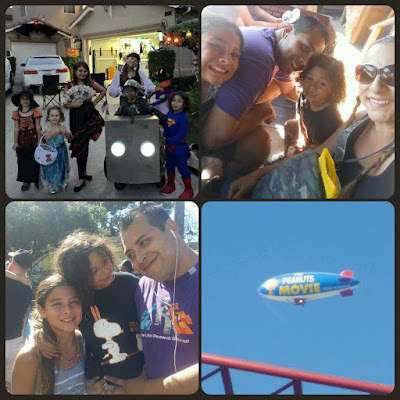 My parents loved to sit and watch the Holiday Specials as a family during Halloween and Christmas, traditions I now have with my own family. 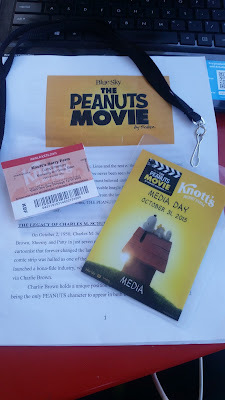 When we heard there was going to be a new Peanuts Movie we got extremely excited and a rush of nostalgia ran over me! 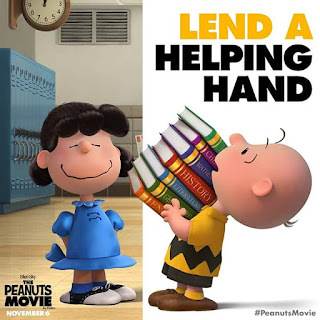 There has not been a Peanuts movie since 1980 and it is so about time to bring them all back for some fun. 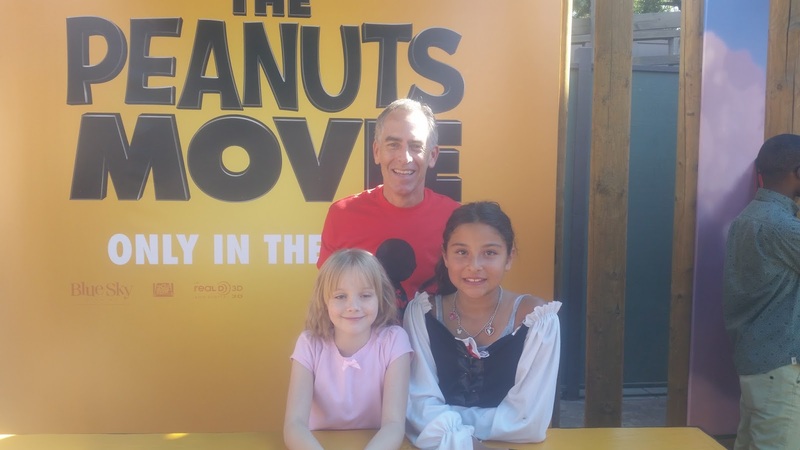 +The Peanuts Movie is the newest chapter to hit the big screen for the Schulz family in years but did you know that it took Craig Schulz (son of Peanuts creator Charles M. Schulz) 8 years to write the movie and Steve Martino (Director) 4 years to bring it to life. That is a lot of hard work. 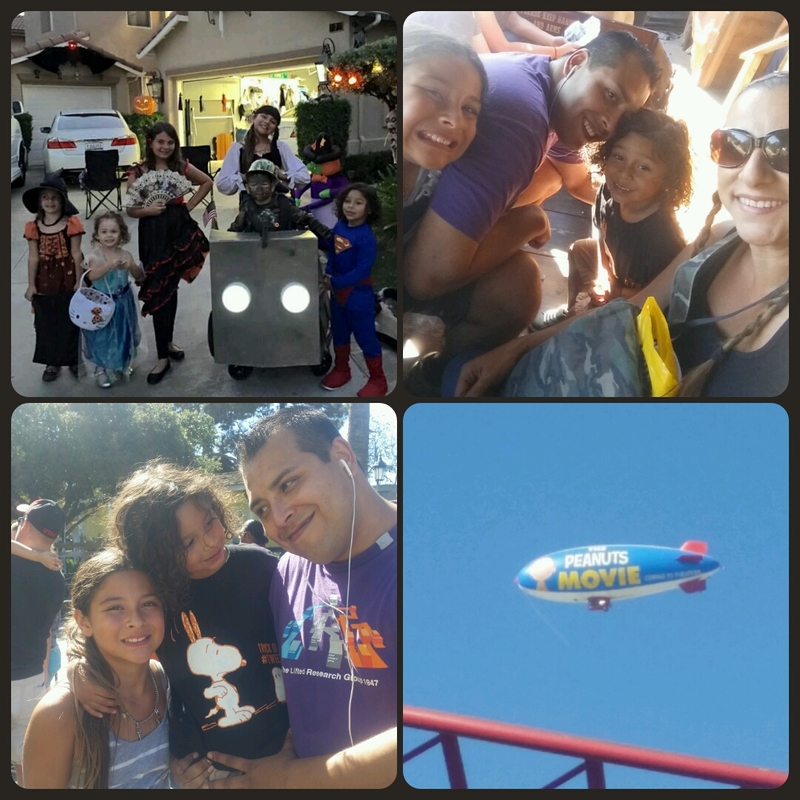 On Halloween we got up, got ready and rushed out to +Knott's Berry Farm where the Meet and Greet for the Peanuts Movie cast was set up inside of Camp Snoopy. Media Check in - Notes in Hand! 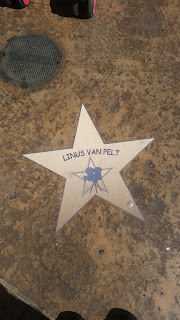 The floor was set up like the walk of fame with the characters "Stars" out leading up to the Red Carpet walkway. So cool! 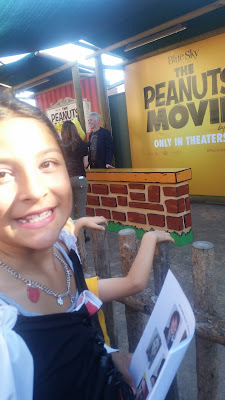 There was a blimp in the sky that was flying above with the Peanuts Movie image on it and everyone was eager to get back to meet the cast, director and creator. The setting was just perfect and as I looked at Zoe, I asked her, "Are you ready baby, you get to ask the questions" and she looked at me with the biggest eyes of excitement and said "Yes, this is my first real interview of famous actors, I'm ready". The cast is just adorable and each actor fits their role so well. The casting that was done to select each voice was fierce and detailed so that there was a presence of old Peanuts and new to create the perfect balance for each of the Peanuts Gang friends. 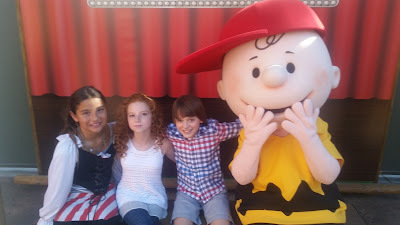 We first talked with Francesca Capaldi (known for her role as Chloe in "Dog With a Blog") who voices Little Red-Haired Girl and Noah Schnapp who voices Good ol' Charlie Brown. These two are so excited about everyone seeing the movie. Zoe told them she was so excited for the movie. She asked: "What was each of your favorite parts of the movie and are there any surprises or hints to what we should look out for in the movie about the Red Haired Girl and Charlie Brown?" Both kids got so giddy with laughter and started telling Zoe that they could not say too much but they "share the same favorite part and something happens in the end that has never happened before." That was enough to tell Zoe and I that we were in for some awesome surprises that I think everyone has been wondering and waiting for! Next up we were able to talk with Hadley Miller, the voice of Lucy, known for being crabby, bossy and always humiliating Charlie Brown. Lucy is a very strong character so Zoe asked Hadley "how it felt to voice Lucy, the girl we know to wear the blue dress and take charge. 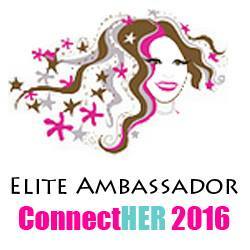 Hadley said, "Lucy is such a bold girl and she is strong and likes to take charge. 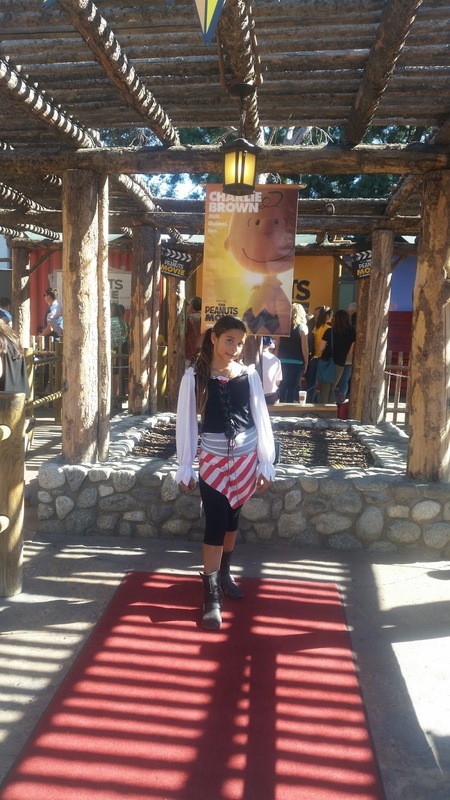 It was fun to bring her big voice to life." Hadley gives Lucy her strong, bold voice. Zoe also asked Hadley if she loved to be part of the pranks to Charlie Brown and Hadley said that one of her favorites is "when Lucy pulls the football away from Charlie Brown" classic...ours is too! I don't think Zoe fully understood how special and just plain cool it was for her to have the opportunity to interview the cast until she stepped up to the creator himself! I saw her face just light up when I introduced her to Craig Schulz. I had told her he is the son of the main man himself that brought the Peanuts to life so many years ago. We started to chat and we had so many questions to ask this creative mind. We told him how excited we are for the movie to come out and how much it means to our family for generations to evolve with his beloved Peanuts Gang. 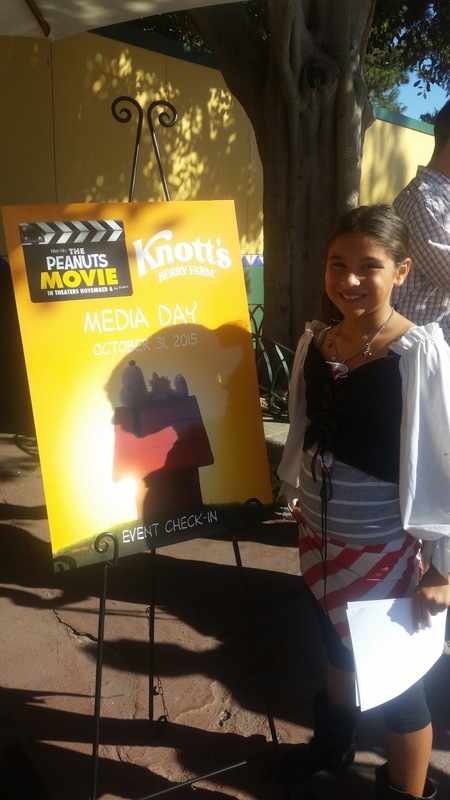 Zoe asked Mr. Schulz, "How long did it take to create the movie and how many hours did it take to get it ready for the big screen?" He looks down at Zoe and said, "It took me many years to write this one, how old are you?" Zoe answered "I am 8." Mr. Schulz smiles at her and chuckled a bit then leaned down and told her "Well it took me 8 years to get this movie written just right and 4 years for the director to do his part. So we just ran a marathon with it and know you will love it when you see it." He then told Zoe, "It took over 5 million hours to complete the movie from writing, editing, creating, casting and more. So many people were involved to make is just right"
That really puts it all into perspective for someone watching the film to know how long and just how much effort was put into it! * Snoopy too, is pursuing a romance! What a rush!! This was my daughters first time interviewing and she did great. 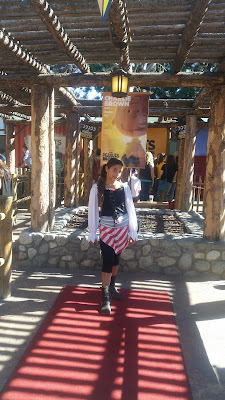 The cast was so sweet, the Director was so thrilled to share his excitement and Mr. Schulz was as nice as he is creative. We could not have asked for a better interview experience. 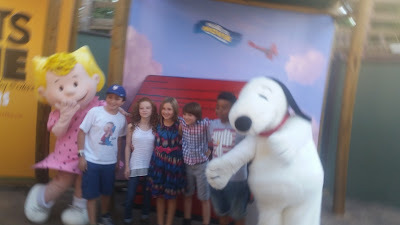 Thank you to the whole cast, Director Steve, Mr. Schulz, Knott's Berry Farm and Camp Snoopy for the most awesome experience. We loved meeting each of them and are grateful for the opportunity to ask things about the new Peanuts Movie! This by far was the best Halloween ever! See you all November 6th to catch the Beagle and his block head bestie on the big screen! For all the details on the Movie and to see the newest trailers visit here. 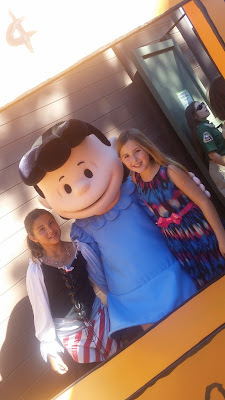 For more information on Camp Snoopy and all the fun you too can have this Merry Farm Season at Knott's please visit here.